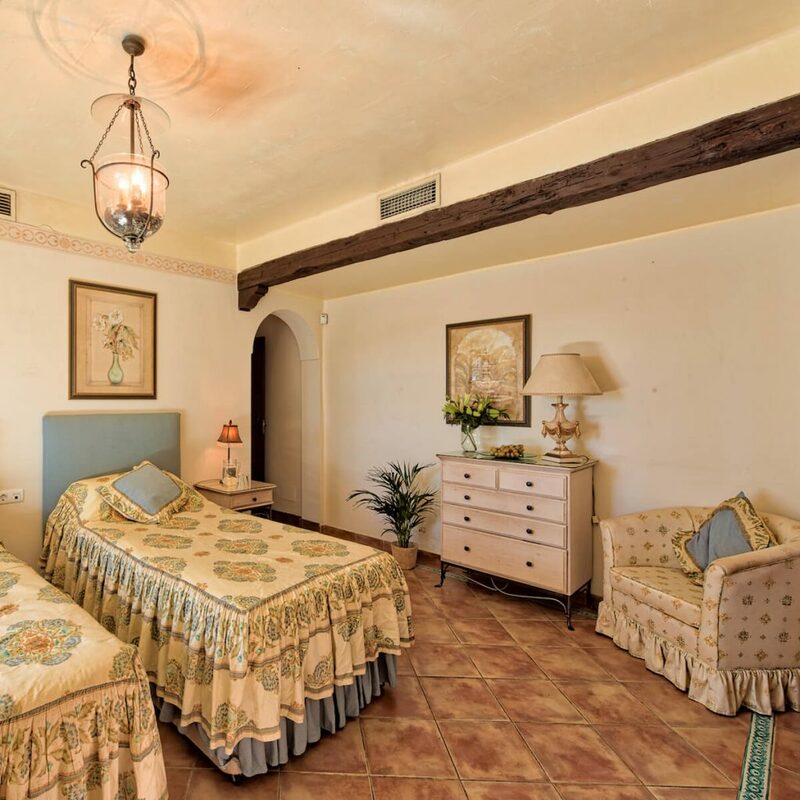 We have seven luxury twin or double bedrooms, each with en-suite facilities – every room providing a luxurious level of comfort designed to enhance your therapeutic process. 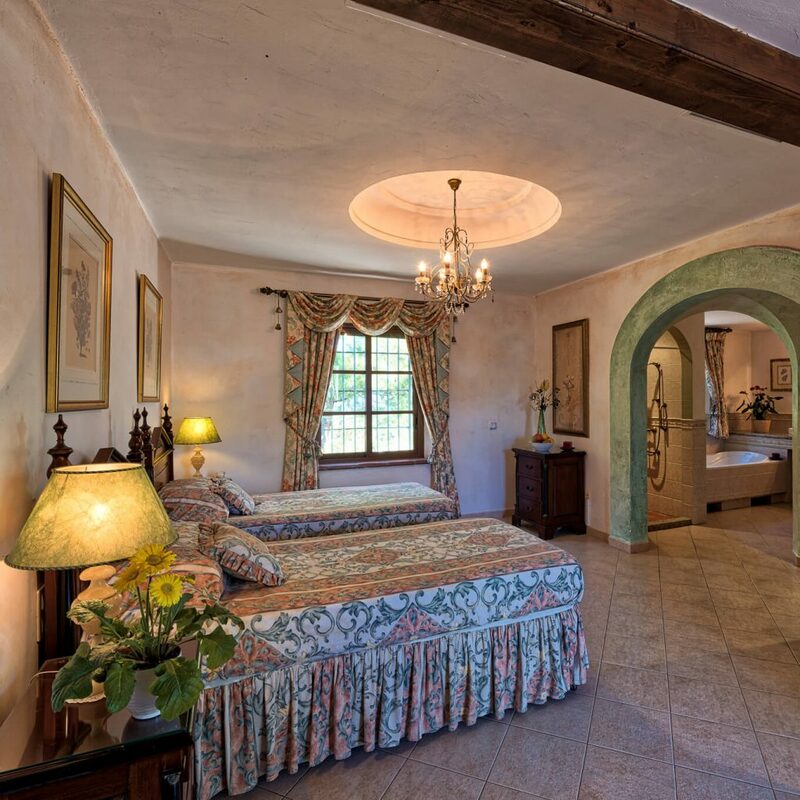 Some provide direct access to the stunning gardens while others offer memorable views of the surrounding mountains, sea and medieval fort. 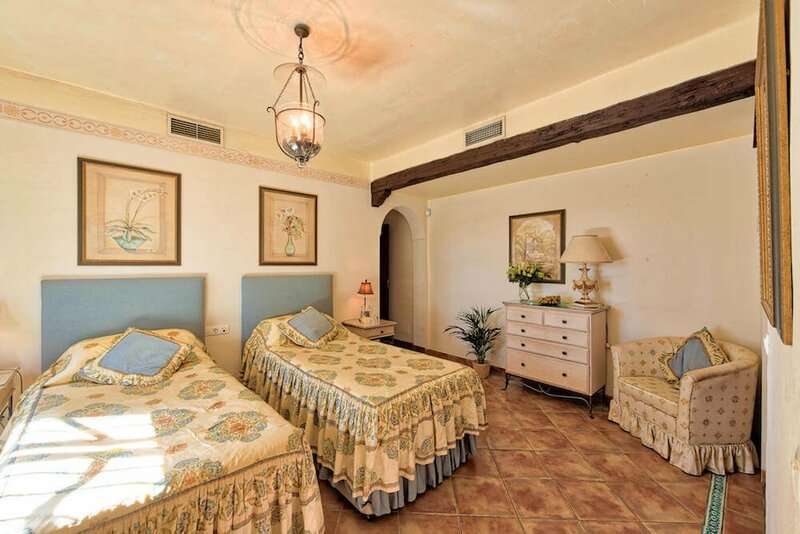 All rooms have distinctive mosaic-tiled floors and are equipped with high quality linen and comfortable beds. 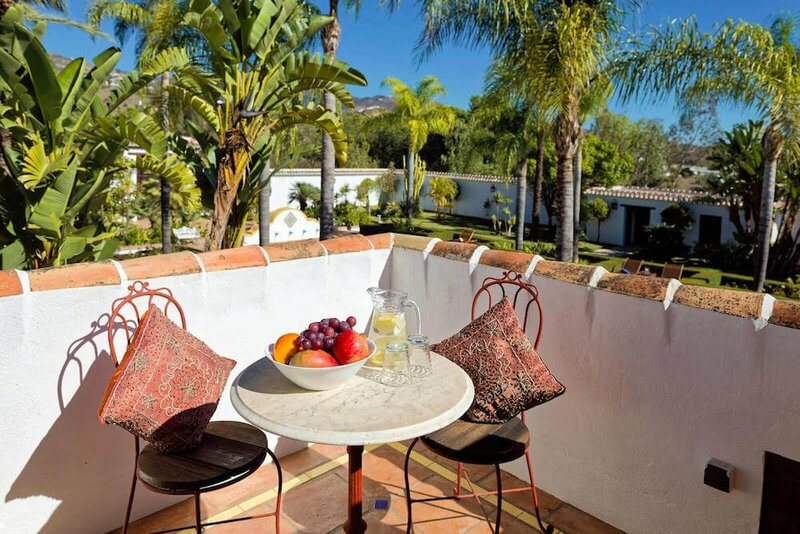 Our location is completely tranquil, yet within easy reach of the authentic bustling Spanish town of Vélez-Málaga, typical Andalucian white mountain villages and the beautiful Mediterranean coastline that stretches for miles. 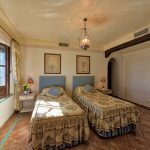 Located to the front of the property, this double room has a dual aspect with large wooden-frame windows that offer views to the side and front courtyards. 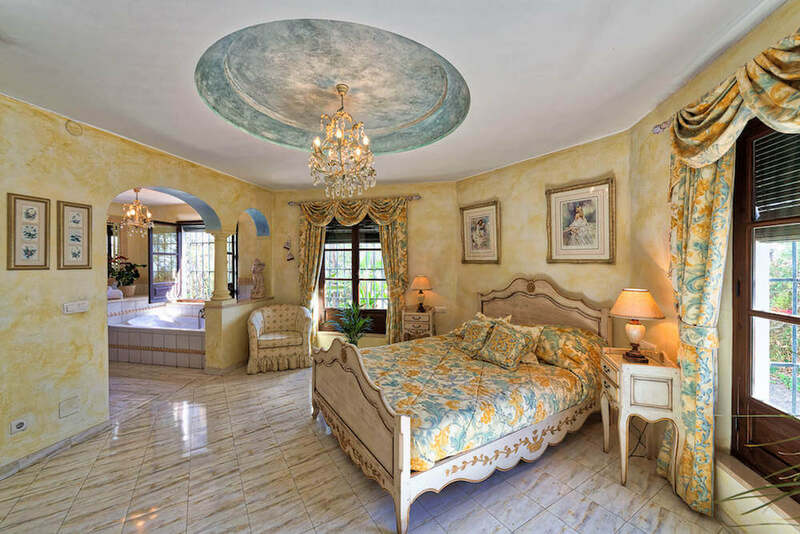 Ornately decorated, including a beautiful central chandelier, a separate dressing area gives ample wardrobe space and dressing table. 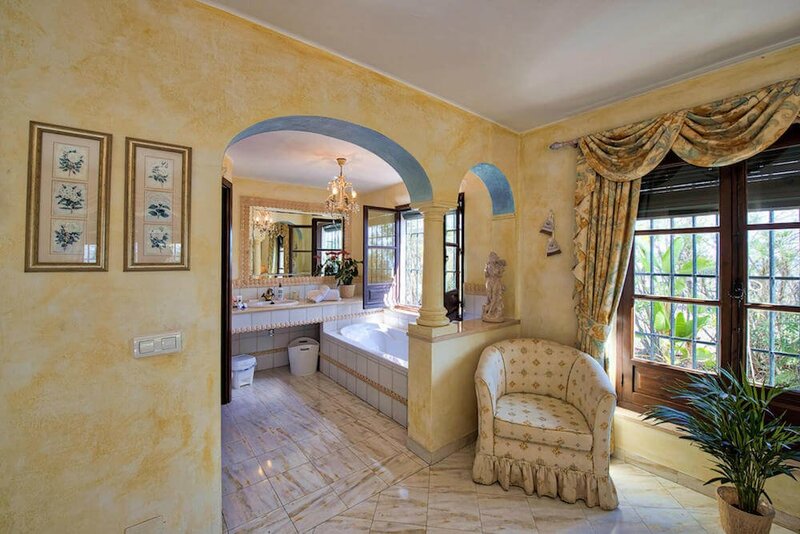 There is an impressive open-plan five-piece bathroom that includes bath and bidet. 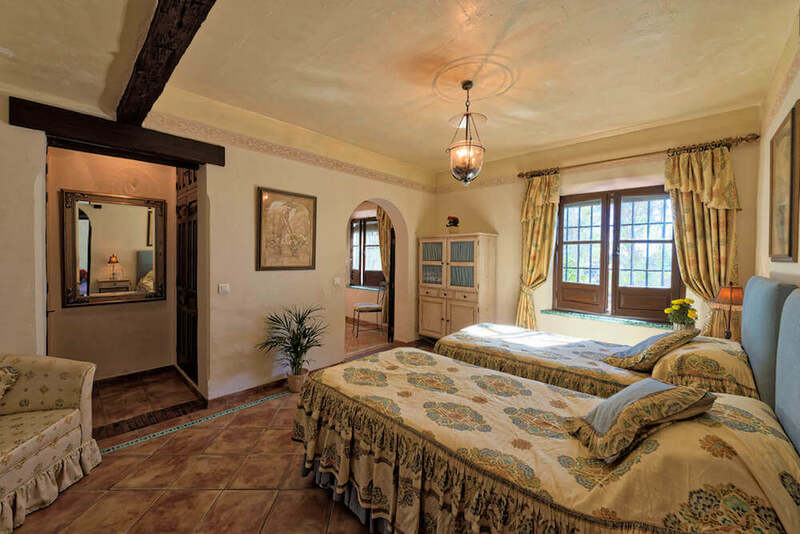 Our Cordoba suite has twin beds dressed in sumptuous silk coverings and accompanying silk curtains that complement its boutique-style furniture. 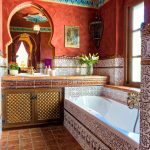 Furnished in an eclectic style with diamond-shaped mosaic-tiled floors, there is also a separate dressing area with full-height wardrobes. 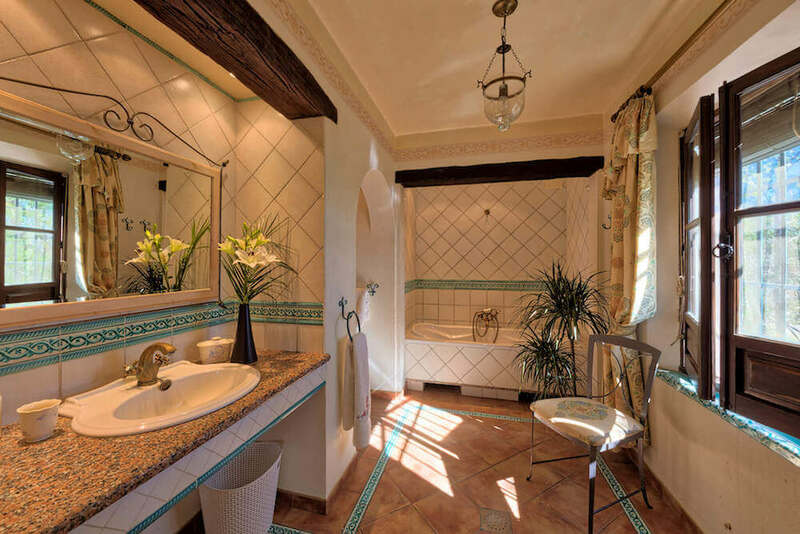 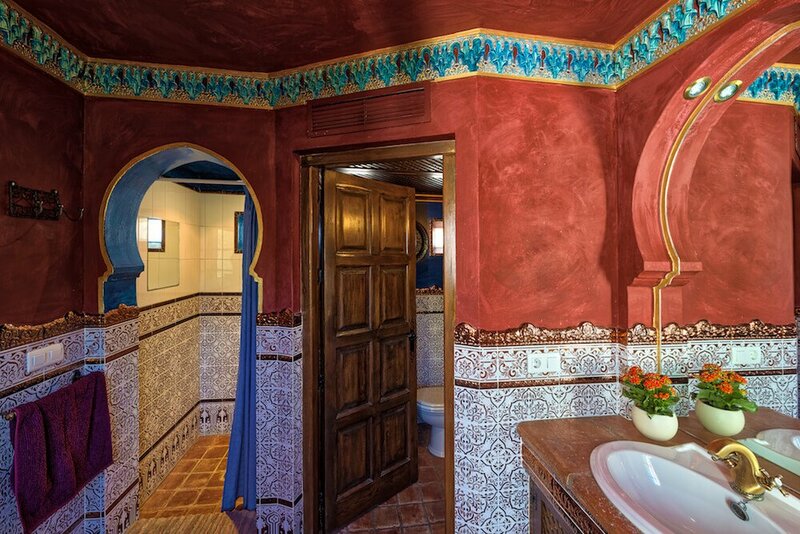 Cordoba suite’s bathroom is open-plan and very spacious. 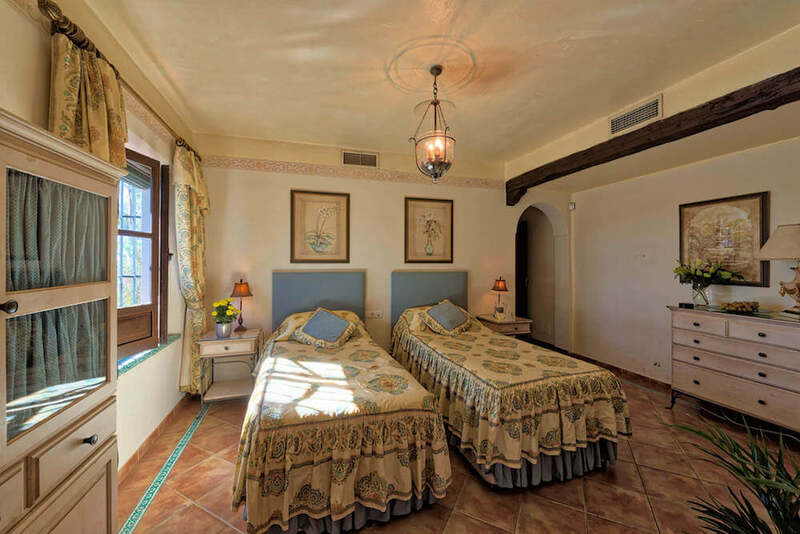 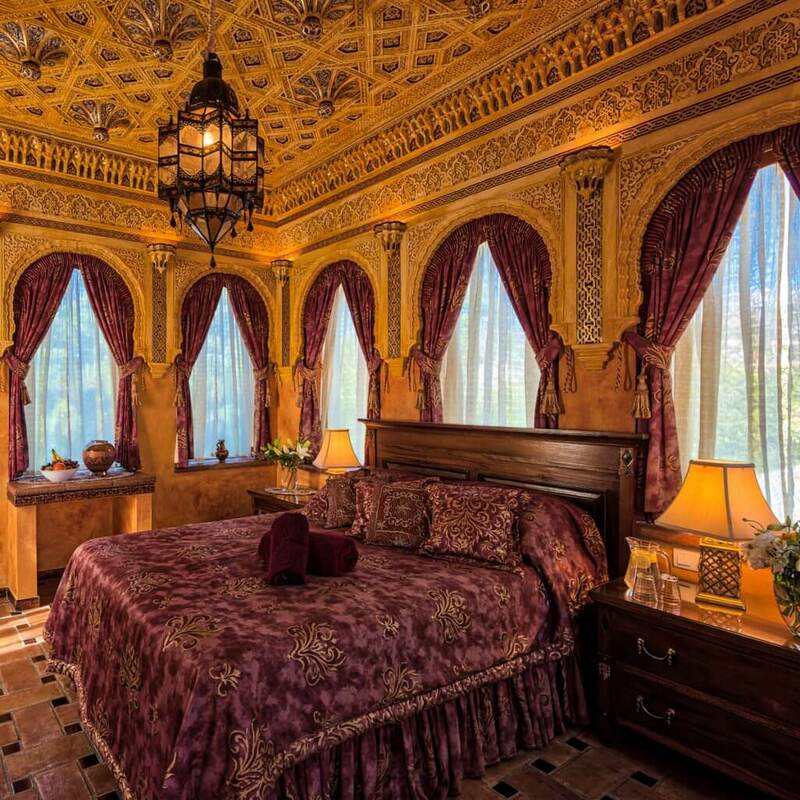 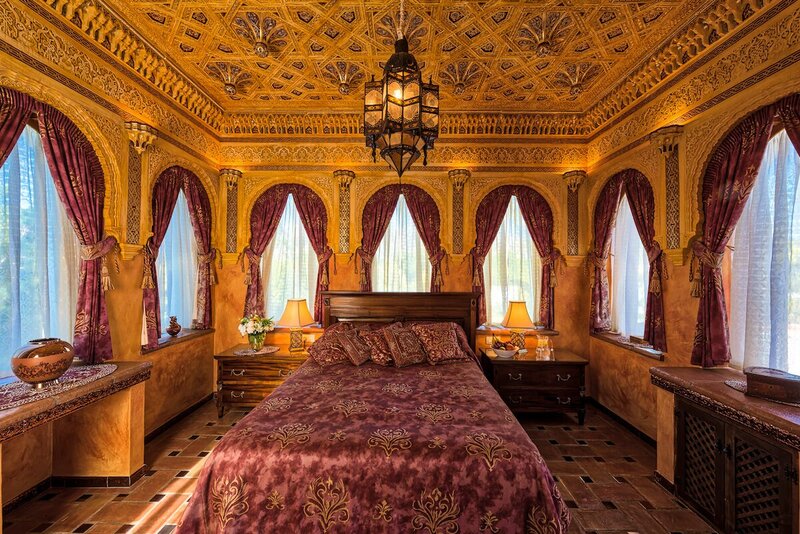 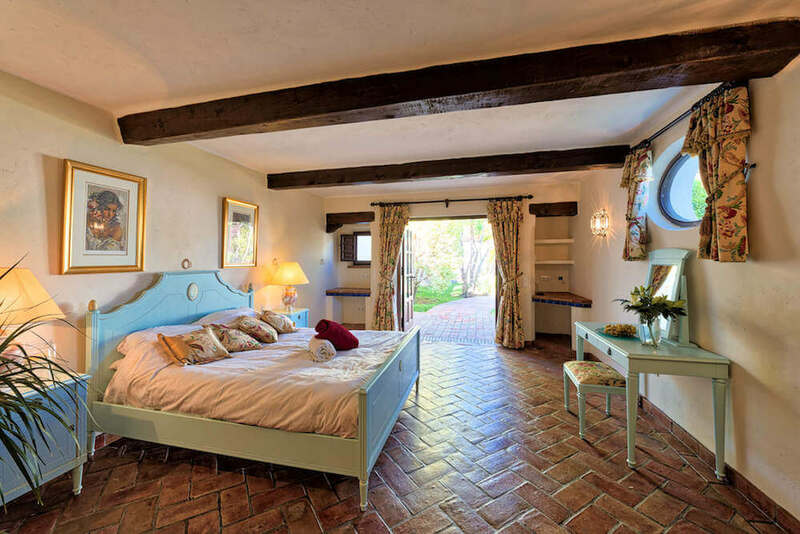 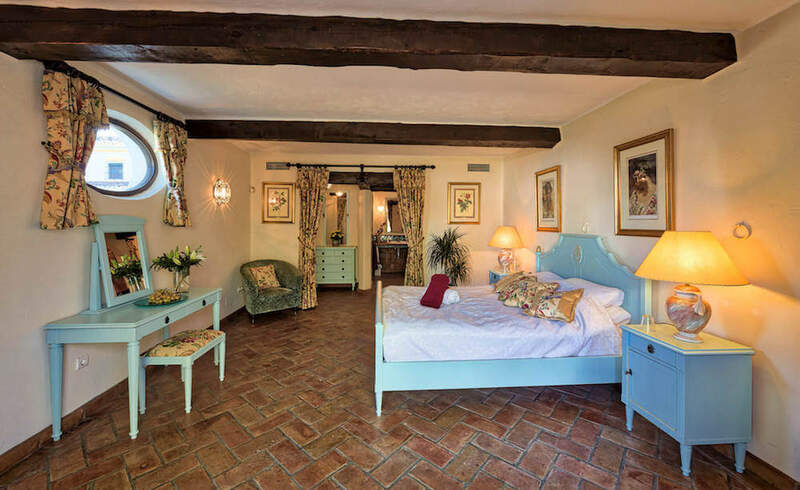 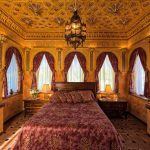 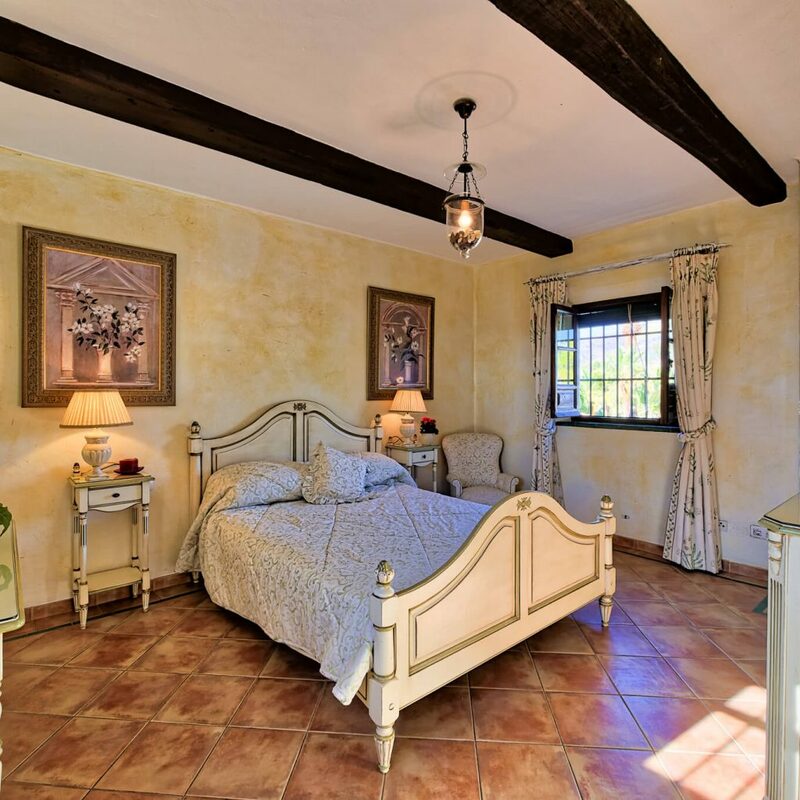 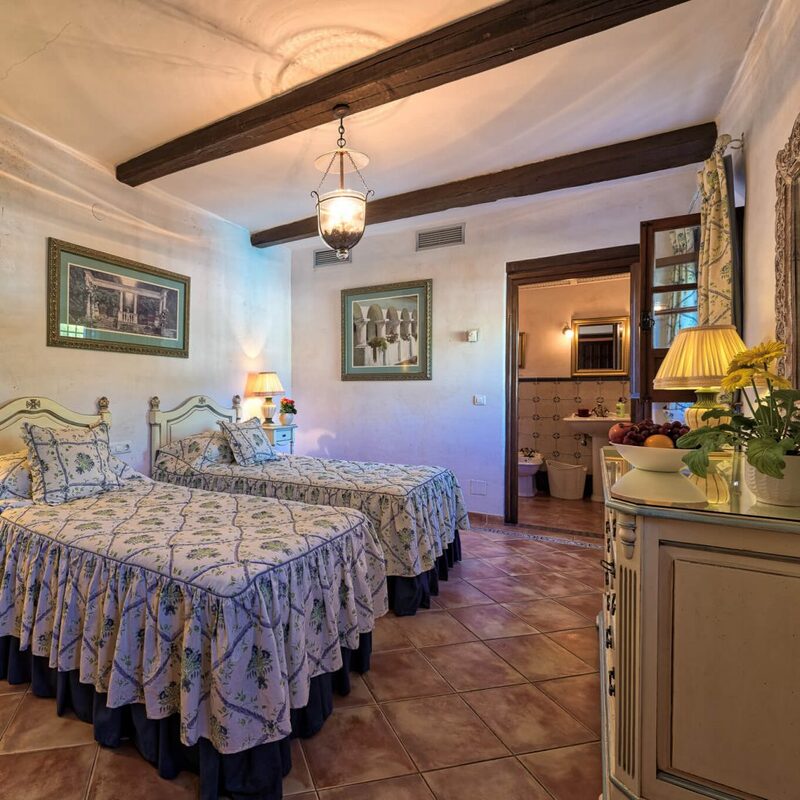 With a stunning mountain backdrop and windows overlooking the swimming pool, our Seville suite has twin beds and a cottage ambience that includes hand-painted mosaic-tiled floors and a notable glass-panelled built-in wardrobe. 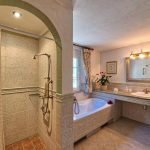 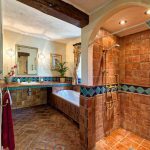 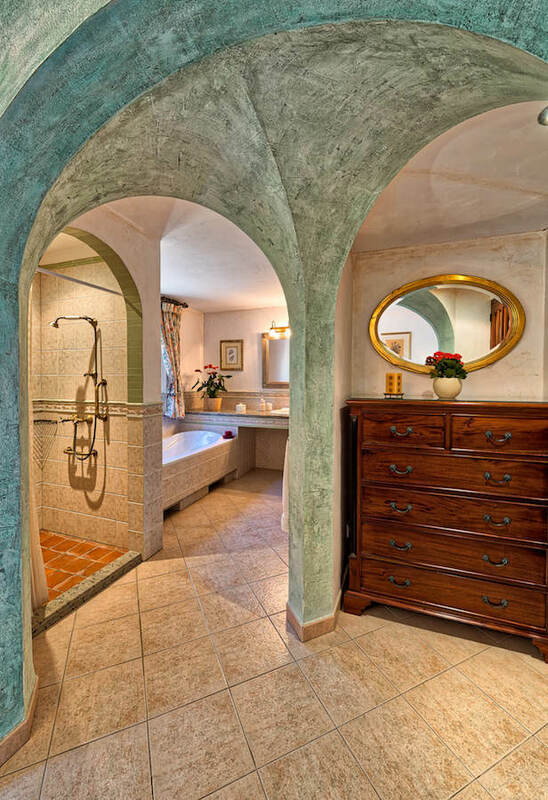 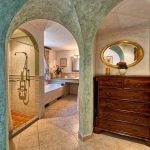 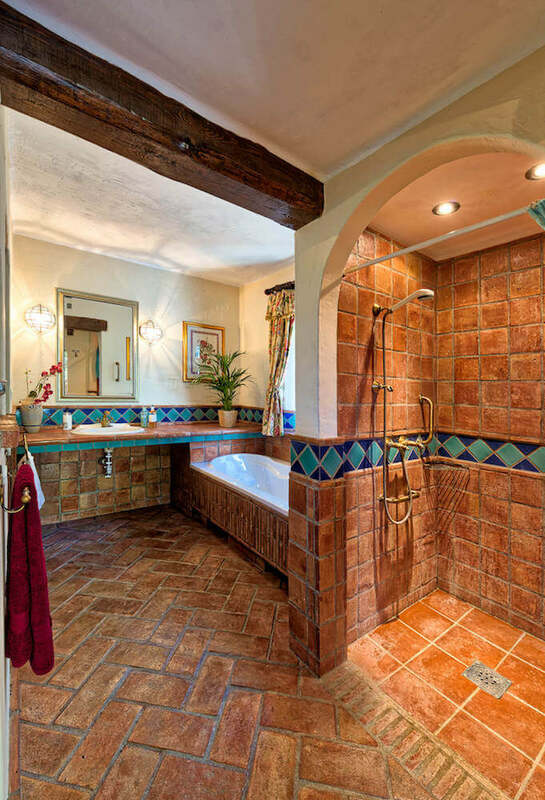 The antique bathroom offers a comfortable walk-in shower. 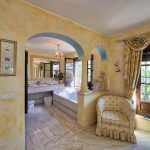 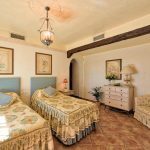 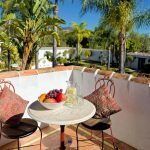 Located on the first floor, with access to the terrace from where there is a picturesque view over the historic town of Vélez-Málaga and the breathtaking Andalucian coastline beyond. 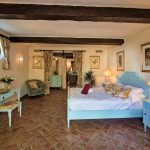 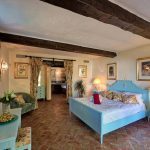 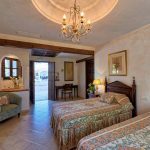 This suite has charming views over the ancient nearby town and the glistening Mediterranean sea stretching away to the North African coast. 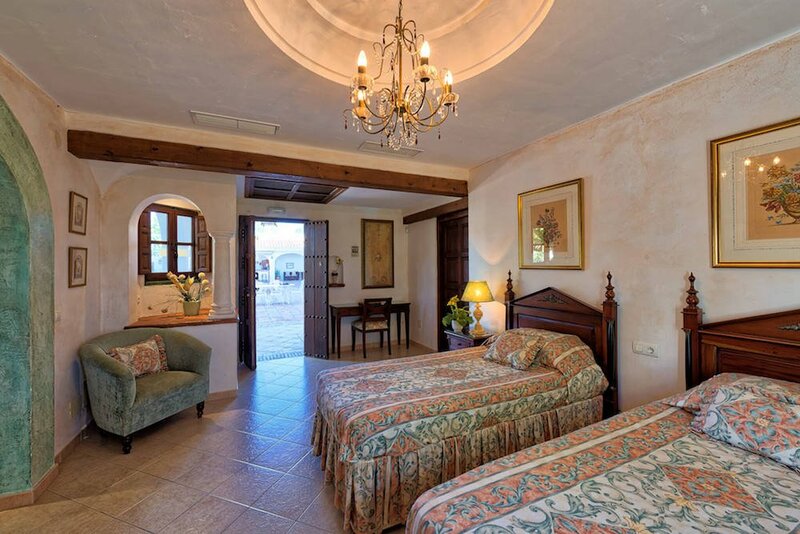 Also overlooking the swimming pool with its mountain backdrop, the Ronda suite offers a large full-height wardrobe that runs along the private entrance hall. 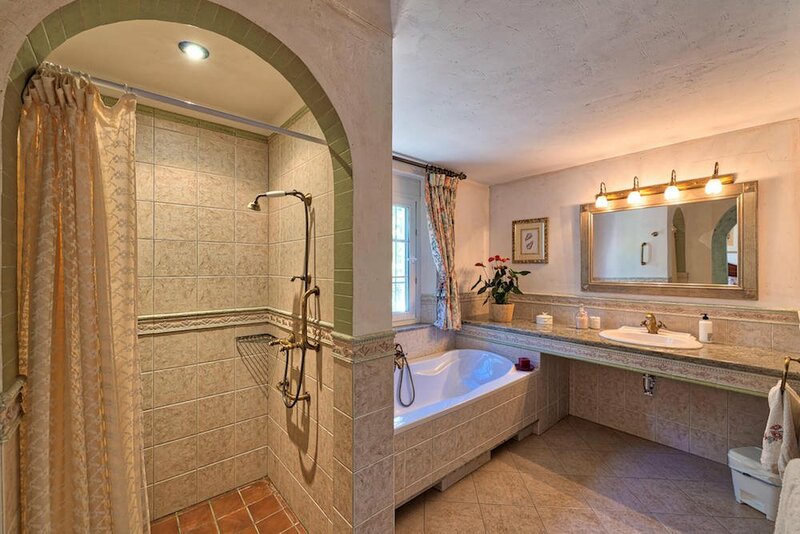 Additionally, it has a private bathroom with comprehensive walk-in shower room. 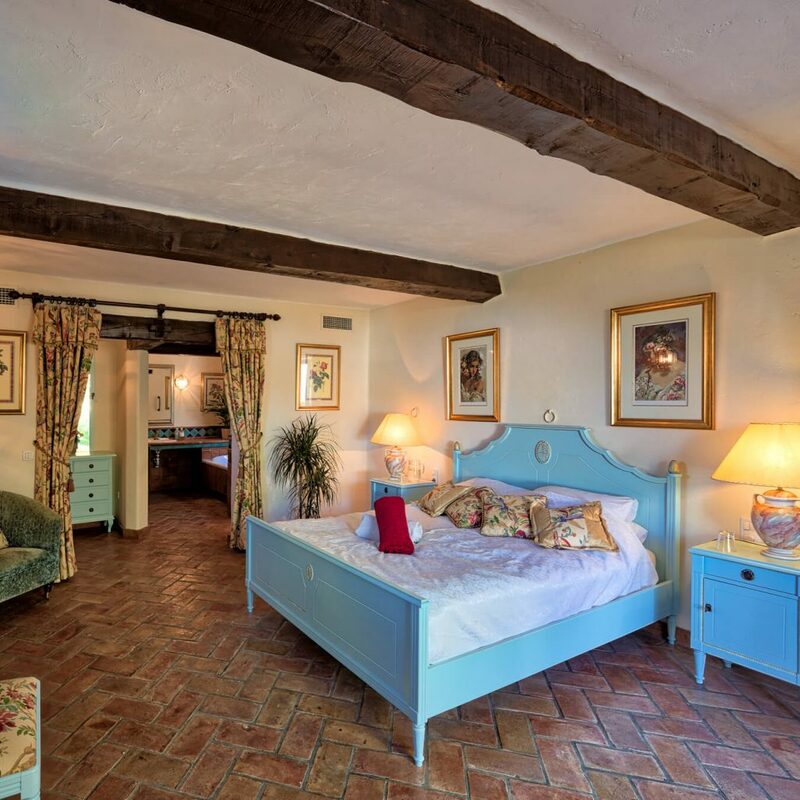 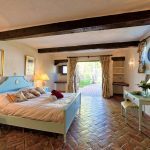 One of our three rooms with its own private entrance in the peaceful walled garden area, this double bedroom affords a view of the pool and gardens. 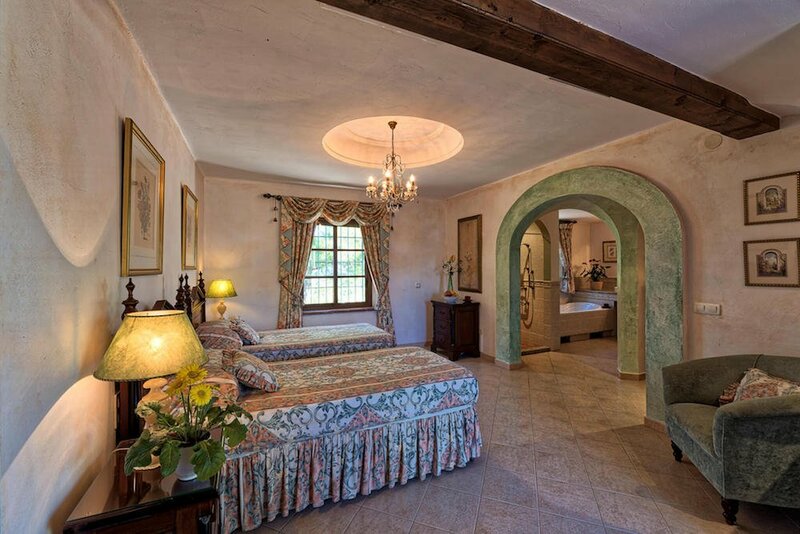 With a separate dressing area and en-suite bathroom this room is spacious and luxurious. 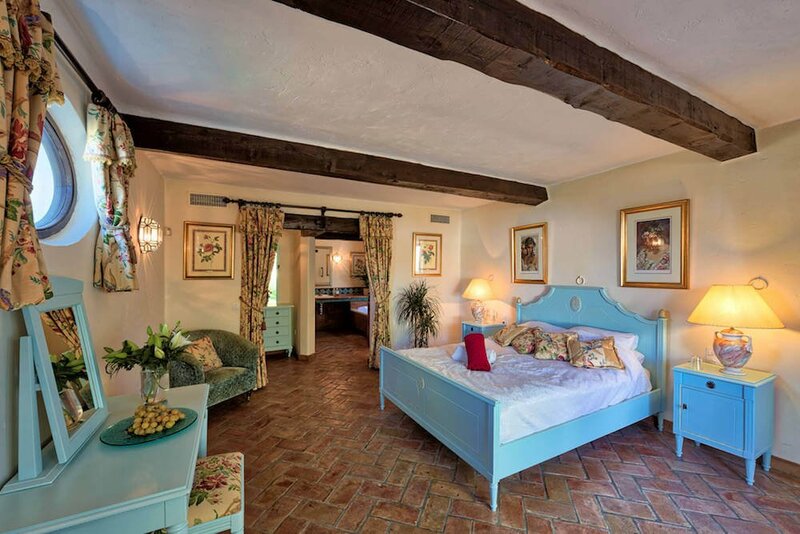 Providing an air of seclusion and tranquility, the Cadiz suite has glass-panelled doors that open up wonderfully to a tucked-away terrace within the pretty walled gardens. 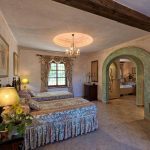 A particularly light room – with its own hidden entrance – and triple aspect views that include inspiring sunrises reaching across the beautiful mountains. 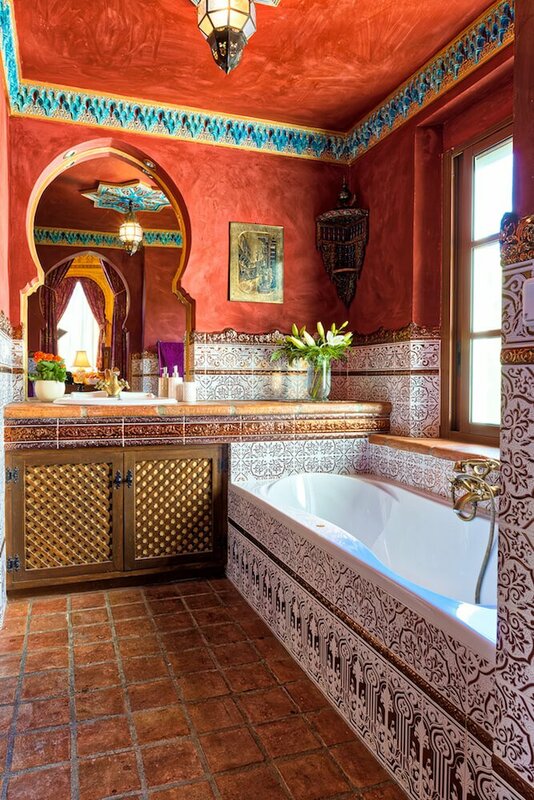 With its own first-floor terrace overlooking the pool, this room is impressively decorated throughout in a breathtaking Moroccan style. 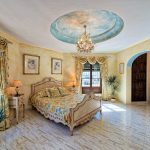 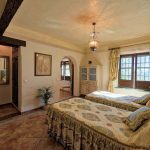 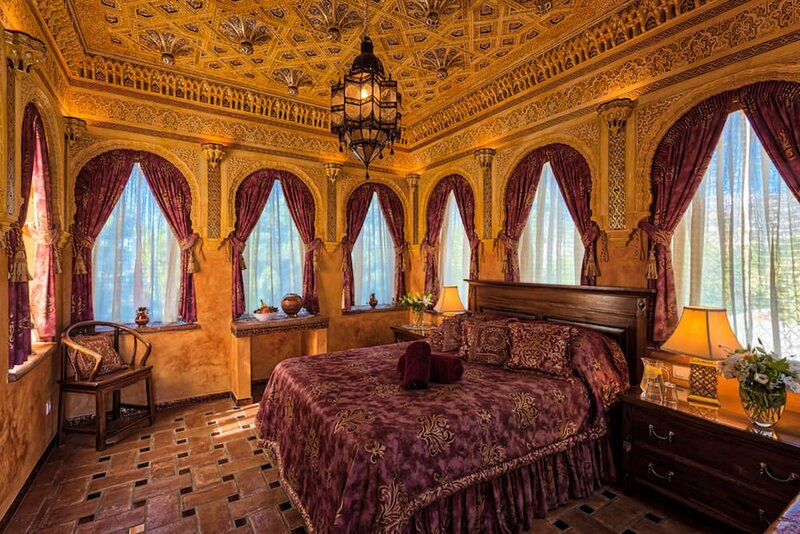 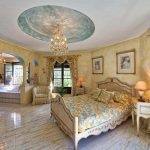 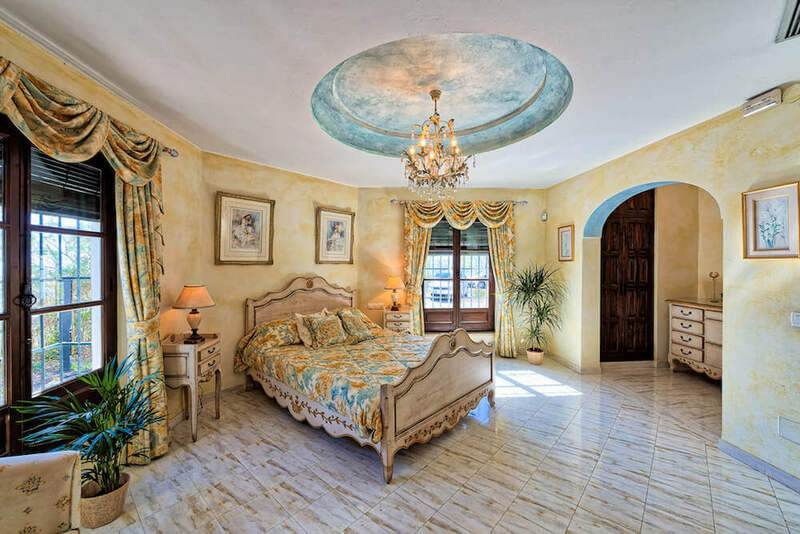 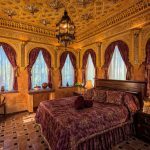 Several Arabesque arched windows give sweeping panoramic views of the picturesque Andalucian landscape, making this suite and its vista truly unforgettable. 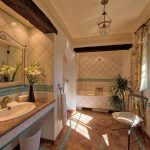 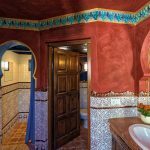 With an overall look and feel of being transported from Granada’s nearby incredible Alhambra palace, the bathroom continues the ornate Moorish theme with its beautifully intricate tiling and large keyhole-arched mirror.